Mid-Town Farmers’ Market will be open each Saturday (7-11am), as well as Wednesday (7am-12pm). The first Saturday of each month is often a children’s day, with face painting and other fun activities usually beginning around 8 am. We also have live music every week–see below for links to more information about the musicians. You can find the most up-to-date information about what will be sold at Mid-Town market by visiting our Facebook page (https://www.facebook.com/mtmarket), along with additional content such as photos and videos from our vendors and from the market itself. You can also receive weekly updates on expected vendors and food at the market by joining our e-mail list (see below). Facebook users: Like us on Facebook! 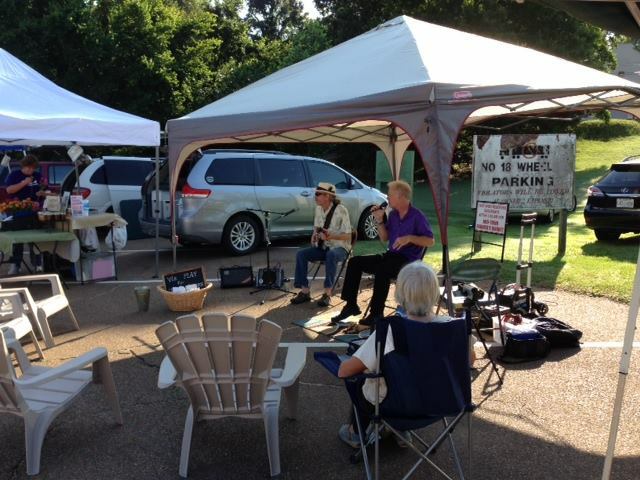 Every week during the market season, Oxford-area musicians entertain at Mid-Town Farmers’ Market, working for tips and produce.